Ahoy, squirts! Quint here. 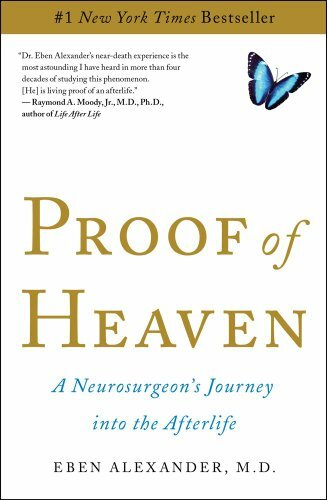 Looks like Universal is going to try grab that faith-based dollar by making a film out of the very popular novel Proof of Heaven: A Neurosurgeon's Journey into the Afterlife. This kind of novel isn't exaclty in my wheelhouse, but I have heard people talk about it. It's definitely an interesting story, a true-life recounting of a doctor who used to give talks about science over faith having a near death experience and claiming to remember everything when he pulled through it, including a trip to heaven. The interesting angle to this story to me is that it is told by someone who didn't believe before his coma and did when he came out, but it sounds like it is dangerously close to becoming preachy. According to Deadline, Universal won a bidding war for the rights to the story and has set Ryan Knighton (a blind writer currently scripting Thick as Thieves for Fox) to adapt it. Mega producer Mary Parent is leading the charge on the film, so expect it to become a reality. What do you folks think?